The October Blog Hop is not taking place until October 25th, but we thought we would share the challenge as well as the inspiration photos here to give you a head start. 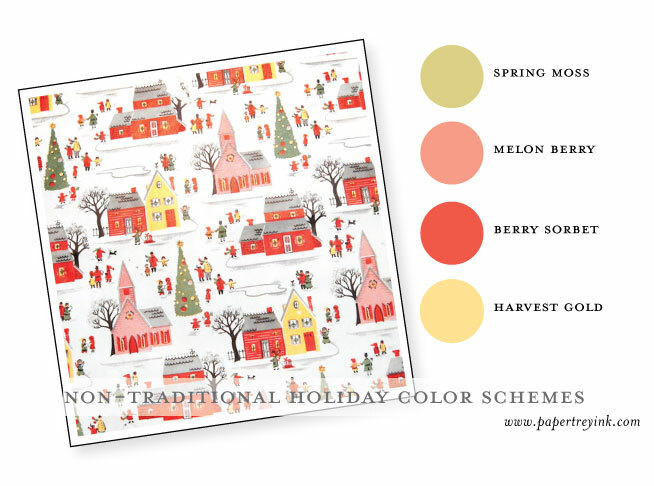 This month it is all about breaking out of your comfort zone and trying out some non-traditional color schemes for a holiday card or tag! Sometimes it is so easy to get stuck in a rut when it comes time to paper craft fro the holidays, so here is your chance to let loose, have fun and try something brand new! I have put together six non-traditional holiday color schemes together for you above. Pick one that inspires you and try your hand at using it as a starting point for a special holiday themed project! 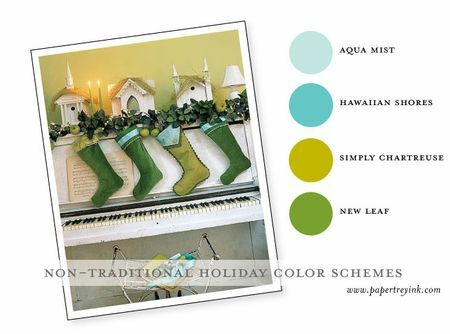 Keep in mind, you don't have to use all four colors for any given scheme, just go with the flow and use as many or as few as you like! I love the color combos for this challenge. As so often happens, I will be out of town and unable to participate. Can hardly wait to see what every one comes up with. 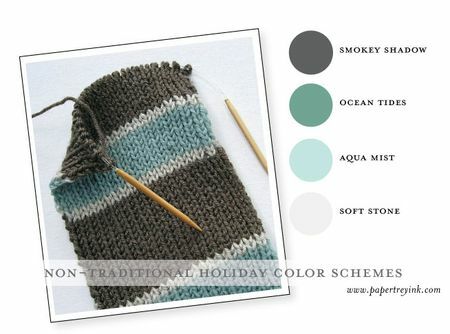 I am sure I will use some of these great colors for my own holiday projects. Thanks for always inspiring us, Nichole! 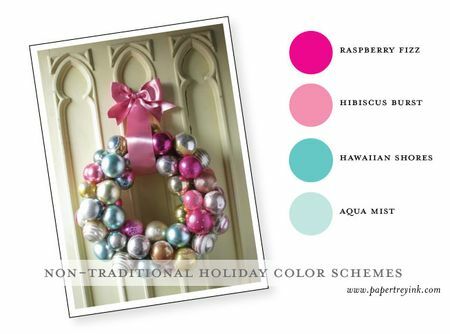 Love this when you give colour challenges! I’m hopeless putting colours together. This helps so much. 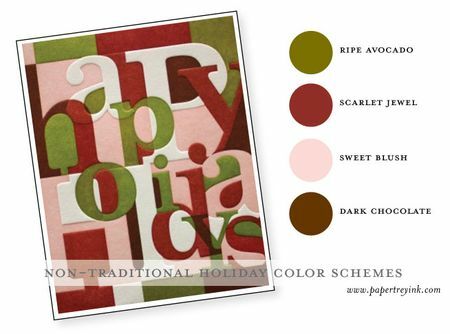 Love these color combos for my holiday projects. Will try this out for sure. I love all the color combinations. Looks like fun! I love the various colour combinations. I have a fair collection of PTI stamp sets, but I don’t have any PTI cardstock and the only stamp colours I have are black, white and vanilla.Even bigger than that, I don’t have a blog lol! Have fun creating that day everyone. I’ll definitely be hopping around that day enjoying everyone’s projects. Love the inspiration – I’m ready! Lovely color combo’s hope to find time to join in the fun! Would you be willing to consolidate these onto one sheet for printing? I love all the color combos you come up with and refer to them when making projects! I am thinking about punching circles out of each color group mentioned above, then adhering them to tags for future reference! 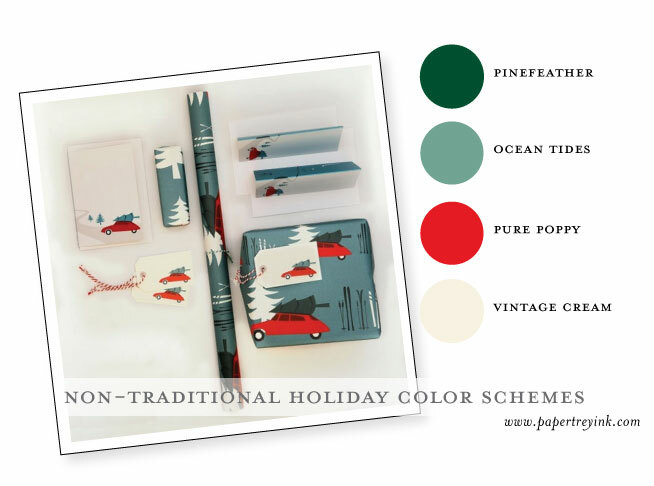 Kind of a little mini album of color schemes. But if you have something we can print, that would be great too! beautiful colour inspiration. i wish i was able to play along this month! I’m not sure if using another company’s (they-who-shall-remain-nameless) cardstock in the closest facsimile would be acceptable, considering the challenge is based on colour. Would anyone like to share an opinion on this? As for not having a blog, that doesn’t matter, you can just upload your photos to a web-based photo sharing site like Photobucket, Dropbox, Shutterfly, etc. and you can link it up from there. Can’t wait to play with these color combos for some holiday cards– so refreshing! Can we get a printable version of these color combos to keep in our craft rooms? They are all beautiful.